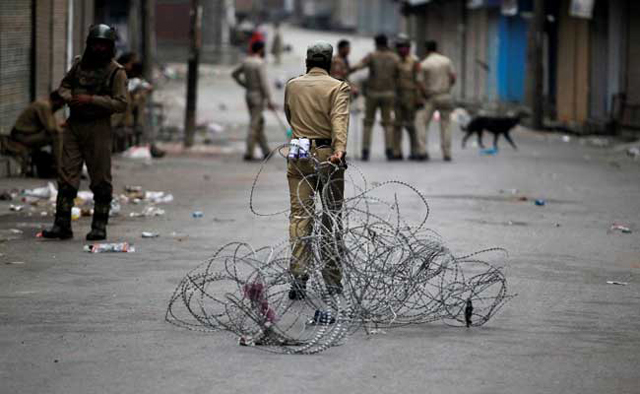 A 17-year-old NRI girl of Kashmiri origin has written an open letter to Prime Minister Narendra Modi pleading that the voices of agitating Kashmiris be heard. ʹDear Mr PM, if we cared for Kashmir people, we wouldnʹt find ways to turn off all communications in the Valley only to further deprive them of freedom, weʹd open up all means for their voices to be heard. Because isnʹt that all Kashmir people are asking for? (sic)ʹ Fatima Shaheen, based in Georgia state of the US, wrote. She said she arrived in Kashmir on July 10 for a visit to her relatives only to find the Valley in a situation which she had never heard of. ʹMr PM, I see the newsflash, the attack in Nice, France, is screened followed by the attempted military coup in Turkey, along with the report on the monsoon rains in southern India. But where is the news on Kashmir? Is this why I never knew what was going on in my hometown for such a long time, Sir? (sic)ʹ she asked. She claimed no cared about people of Kashmir but everyone wanted its land. ʹEveryone wants Kashmir, but no one cares for the people of the land. Because if we cared for Kashmir people, we wouldnʹt care of peopleʹs opinion on whether Burhan Wani was a militant or a martyr, weʹd try to understand why an ace student chose to continue his career holding a gun rather than a pen (sic),ʹ she wrote.